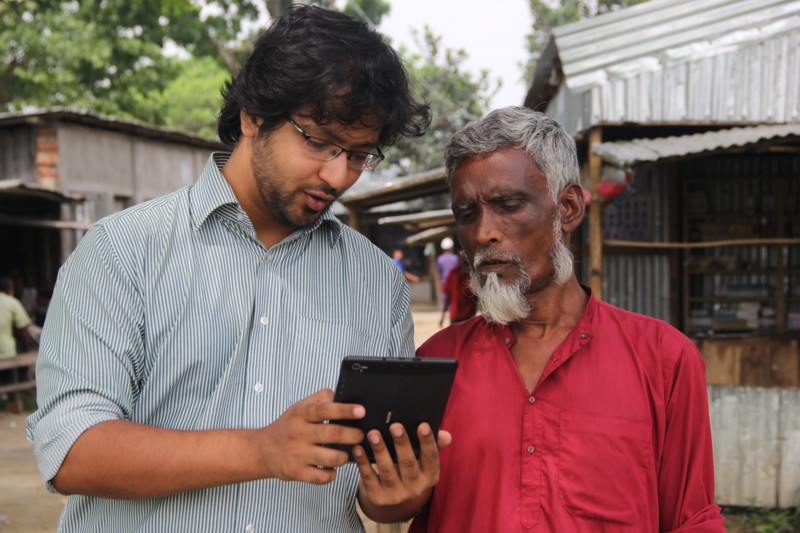 As an entrepreneur based in Bangladesh, having worked at the intersection of technology and development on a range of issues over the last eight years (first at mPower and now at Jeeon), I have constantly been surprised how much we as social entrepreneurs try to box ourselves in a category of our own. Yet, there are a lot of best practices in entrepreneurship, which apply just as much to the social variety. For that reason, I have always been interested in what successful Silicon Valley companies do well, and how that could be adapted or applied to our contexts. Below are a list of seven key lessons about entrepreneurship that I have been able to directly apply in my ventures. Think big. Google would not have become Google if its mission was to “Give people the best way to search,” instead of “Organize the world’s information.” I see too many enterprises that think within the confines of their immediate circumstances, instead of really having an awe-inspiring vision for a different world. That is why we changed ours from “Deliver quality healthcare to rural populations” to “Make well-being universal.” It inspires us to get out of bed every day. Know your clients well. Be part of their lives and see the world from their eyes. However, also know how their worldview is limited by their previous experience. What you offer may be even better in ways beyond what they can imagine. Being city people, the first thing we did as a company was to get over our hubris and spend a month living in villages, asking people what they thought they needed. Then, we processed our findings back in HQ and combined it with our knowledge of what’s the latest in technology. In the end, we figured out solutions that our patients could never have imagined. User fees are just one way to make money. If you understand the ecosystem and can position your company smack in the middle of the various stakeholders, you can offer meaningful value to each of them and charge for it. In our case, patient consultation fees are our business now. But in the future, it can be as much of an advertising and data business as a healthcare business. Who knows, maybe the consultation itself will be free one day. No harm in dreaming, right? Find ways to plough every possible dollar of value back to your important stakeholders. Make it a no-brainer for them to jump on your bandwagon. Only then will you scale really fast. Once you do, making money will be as easy as flipping a switch. We are trying to follow Amazon’s lead and to stop worrying about reaching a break-even any time soon. Instead, what we will optimize for is acceleration of expansion. The principles of good HR apply as much to budding social enterprises as they do for a bleeding-edge tech company in Silicon Valley. Invest time and energy in hiring well, and give people enough reasons to stay motivated and invested in your company. Of course, the perks will sometimes not be as nice. But unlike Silicon Valley, we have an advantage—the strength of our mission. Use it. At Jeeon, we have made recruitment a cornerstone of our strategy, and going at it in a very different way than most companies do it. It is well known in Bay Area circles that entrepreneurs who invest in culture are in it for the long haul. Even the best crafted strategies will sometimes fail, but it is culture that will hold companies together in times of stress, keeping the right kind of people in the organization and the wrong kind out. Amidst the difficult circumstances in which most emerging market enterprises work, it is even more paramount to think about culture as the foundation of the organization. We have taken this lesson to heart, and spent most of our initial months trying to build the foundations of a great culture. It is starting to pay off with dividends already. Trying to build your own infrastructure while there is an existing alternative is nothing short of suicidal. Waze won its war with Nokia’s initiative to install sensors in all street corners of the world with comparatively few resources, thanks to its ability to tap into the sensors people had in their smartphones. Since then, AirBnB and Uber have become global industry leaders in short spans of time by leveraging infrastructure they don’t own. Many enterprises tend to follow Nokia by trying to set up their own parallel infrastructure. One of the key insights we had early on was that we should try to use the massive but decentralized infrastructure of rural quack doctors instead of building a competing version of our own.